By Lawrence V. Tucker, M.D.Dr. 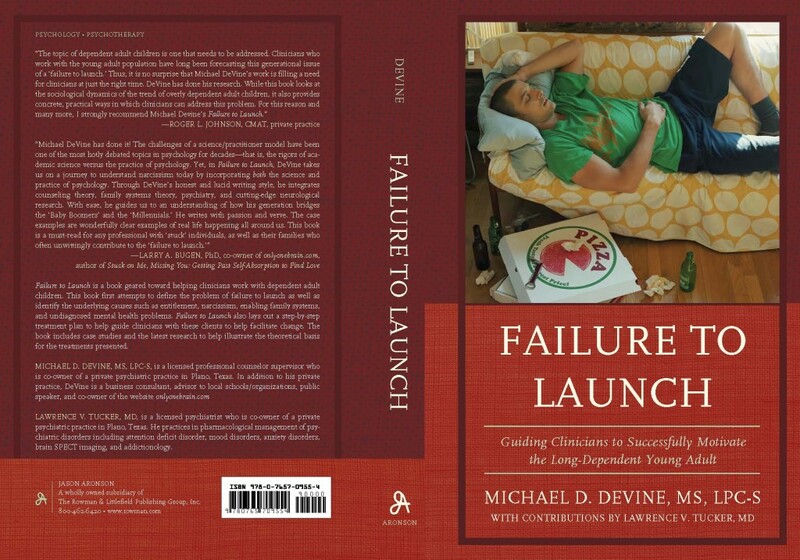 Tucker is excited to announce that he has contributed to Failure To Launch, Guiding Clinicians to Successfully Motivate the Long-Dependent, a new book by Dr. Michael D. Devine. The book will be available for purchase June 2013.